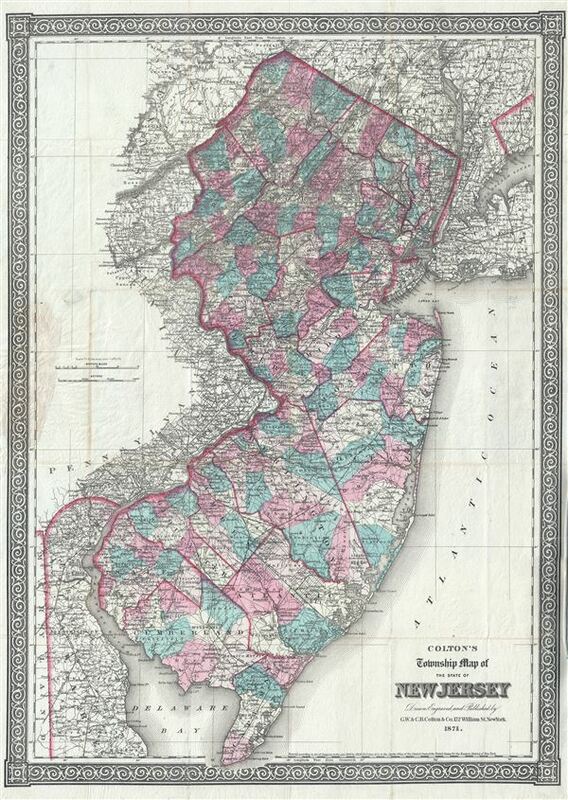 Colton's Township Map of the state of New Jersey. Very good. Minor wear and toning along original fold lines. Some toning and spotting near left margin, where map was attached to binder. Accompanied by original binder. Professionally flattened and backed with archival tissue.